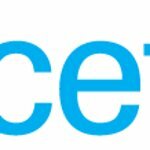 The United Nations Children’s Fund (UNICEF) works in 190 countries and territories to save and improve children’s lives, providing health care and immunizations, clean water and sanitation, nutrition, education, emergency relief and more. You can make a difference for children. UNICEF depends entirely on voluntary contributions for all our work. You can donate, or purchase UNICEF cards and gifts, or become a volunteer.